Christian Chavez of Kerrville, Texas, isn't shy about his support of Texas A&M quarterback and hometown hero Johnny Manziel's talents or his Heisman Trophy campaign. Manziel is a Kerrville native. 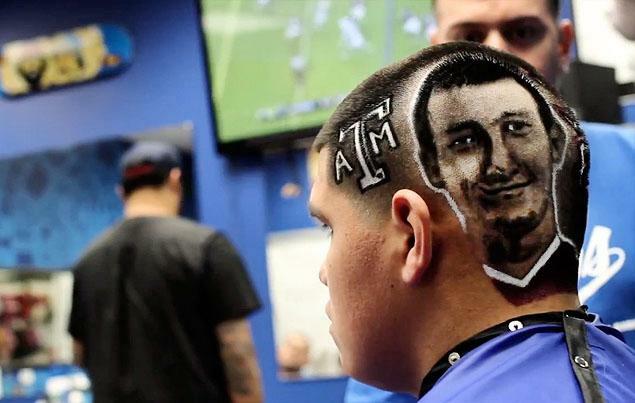 When barber Rob “The Original" Ferrel of San Antonio, Texas, offered via Facebook to cut a portrait of Manziel into anyone's hair who was willing, Chavez jumped at the chance. By the end of the day Wednesday, Chavez was sporting a new doo with the likeness of the freshman Aggie phenom shaved into his scalp, along with Manziel's "Johnny Football" nickname and the Texas A&M logo. Described as "like the Sistine Chapel of haircuts" by Clay Travis at Outkick The Coverage, the look was immediately a hit among sports fans. Taylor Hendrix of Cosby Sweaters wrote that it "is definitely the best tribute haircut I have ever seen." 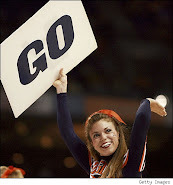 And Taylor (whomever he or she is) ought to know! Thus, Chavez, 17, got a surprise when he arrived at his Hill Country High on Thursday. He said he was sent home by the school's principal and told not to return until “the best tribute haircut” ever was removed. Bummer, dude.